Fight Camp is a new feature at CageNationTV.Com. Regularly, we’re going to take a look at a local gym or academy that has produced fighters that have appeared in our scene. If you would like to suggest or nominate your gym to be featured on Fight Camp, shoot us an email at CageNationTV@Gmail.com. By Albert Cameron – If you ask anyone who has been in cage or ring competition about their gym, academy or training camp, you will often get stories about extremely important aspects to human life that you’d never believe could be learned in such a place. In fact, it’s in the gym that athletes of combat sports learn the most about the human element and how good people should interact in the world they live in. For the first installment of Fight Camp, I wanted to highlight the gym that taught me that very thing. It was a brief time that I studied Brazilian Jiu-Jitsu, it was jarring when I had to discontinue my studies, but the lessons learned were positive and the effects were lasting. The gym where you study becomes a crucible, where the weakness and doubt separate from the most valuable aspects of self, leaving only the best possible person remaining. 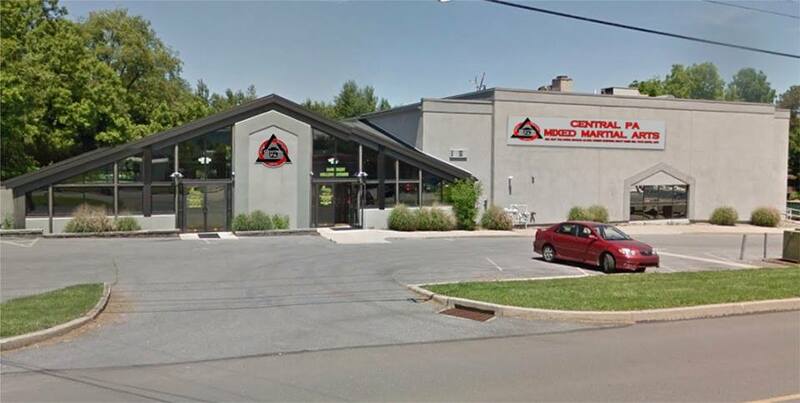 Central PA Mixed Martial Arts (CPAMMA) is one of the most genuine labors of love that you’ll find any entrepreneur becoming involved with. As a life-long student of the martial arts, Ryan Gruhn took the steps necessary and made the difficult sacrifices of achieving a singular focus: being a martial arts instructor for a living. Sifu Gruhn, an expert in various forms of martial arts (including Filipino Martial Arts, Brazilian Jiu-Jitsu, Muay Thai among others), took his vision to a store front on South Atherton Street in State College, PA and produced a complete martial arts center where any interest could be sated and any body type could realize their potential. It was Sifu Gruhn himself who told me directly that there is no perfect weight to wait for and no level of fitness that couldn’t be obtained at his gym. When selecting a gym to trust my education to, I was very particular. I have a learning style of someone who needs to be thoroughly coached and constantly reminded. Should I have found myself at a gym where the instructor would become short on patience or have the inability to clearly communicate the lessons he aimed to teach, I would have been wasting my time and money. On any given day, Brazilian Jiu-Jitsu could be taught by Sifu Gruhn himself, by Brown Belt Jonny Sinniwali [real last name omitted by social convention] or by Alec Castro (I apologize for failing to remember what belt level Mr. Castro is at, there is no doubt he is heading for black belt). Those are three gentlemen who had no problem taking their time to teach techniques to someone with short legs, no experience and extremely lacking cardio. To describe the instructors at CPAMMA, I would have to go as follows: Sifu Gruhn has a subtle ability to find the encouragement that all of his students need to continue to progress and exceed. When Jonny rolls with one of his students, he rolls with their needs in mind; Jonny doesn’t give you the roll he wants, he gives you the rolls you need. One of the most endearing things I took away from CPAMMA was Alec Castro understanding that big guys move differently from small guys and had no qualms about taking the time to show you how to modify a technique that is best suited for a slender competitor with long legs, to make it work to your physiology. The team, together, is the success story that has moved CPAMMA from a three-thousand square foot storefront to an entire building meant for training. As for a fight camp and training facilities, CPAMMA has got credentials. Sifu Gruhn has had a direct hand in training former UFC and current Bellator fighter “Mr. Wonderful” Phil Davis and he has been the head trainer for CDMMA and Gladiators of the Cage veteran Dan O’Neil. Speaking of O’Neil, Sifu Gruhn has coached and lead him to a successful Thai Boxing amateur record. CPAMMA has a fantastic BJJ competitive team, of whom go to tournaments and consistently place high in the rankings and one of the most successful Youth Martial Arts programs in the area. It’s been an honor to get to know the staff at CPAMMA and I’m glad to have discovered a vehicle to showcase them. Stay tuned for the next edition of “Fight Camp”, where we could be talking about your gym.